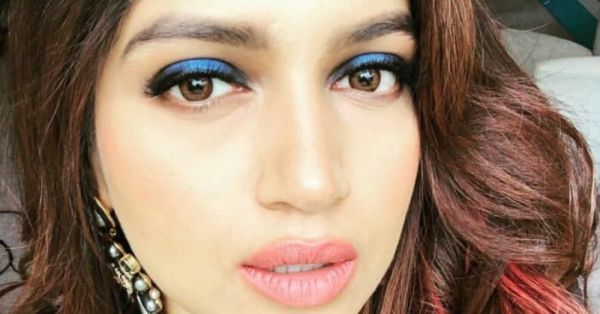 Take Cue From Bhumi Pednekar And Let A Coloured Eye Look Amp Up Your Day! Black eyeliner is a crowd favourite, so is a classic smokey eye. I don't know even one person who doesn't own a black eyeliner or kohl pencil. It's a staple in every makeup bag. But while you can try multiple eyeliner looks with that black liner, it is still black and there's only SO MUCH you can do. Coloured eyeliner, on the other hand, is that breath of fresh air which you should once in a while take in. Actor Bhumi Pednekar did the EXACT same thing recently. I was scrolling through Instagram and saw this cool selfie of her with a popping blue eye look and I remembered all my coloured eyeliners lying in a pouch in the corner of my makeup chest and also the untouched eyeshadow shades in my palettes where I use only the browns and greys. The blue looked so great on her and I love how she used a metallic tone to give her a li'l something extra! I remember there were these couple of years in college when I was CRAZY about coloured kohl and eyeliner. I'd invest in all these coloured eyeliner pencils and liquids and use them diligently. Looks like those eyeliners are all set to make a comeback! But before we dive headfirst into the nooks and crannies of our makeup chest, here are a few coloured eyeliner and eyeshadow hacks I learnt! 1. Always have a white eyeliner pencil on you. When you decide to experiment with coloured eyeliner, there is a chance that they might not look as pigmented on your lids as they do when you swatch test them. A while eye pencil will give you a neutral base so your colour can pop! This works for an eyeshadow as well. 2. No colour is off limits. Seriously, once you get comfortable with coloured eyeliner you can experiment with all sorts of colours. Pastels, blush tones, metallic tones - the sky is the limit. But I suggest you start off with the blues, greens and browns before you venture out. 3. Metallic eyeliners are your black eyeliner's partner in crime. 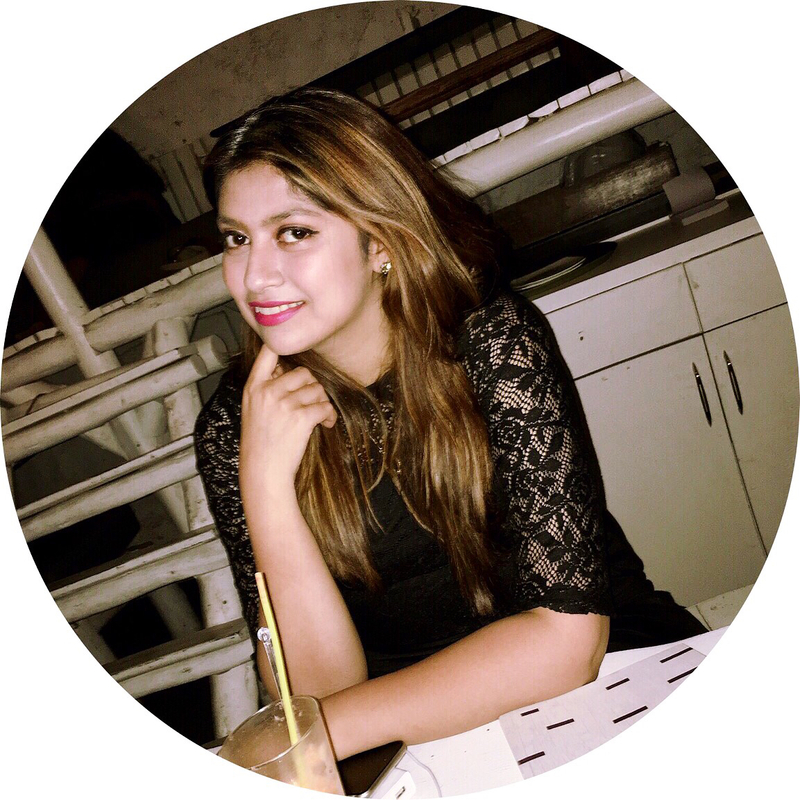 You know how we are always looking for hacks and ways to get our look from day to night? Well, make sure you stash a metallic eyeliner in your bag at all times. If you have a party to go to, you could just line your already there black eyeliner with a metallic one or replace it and you'd be ready to hit the town. This logic works with coloured eyeliner as well, but I like how the metallic ones look! 4. Two eyeliners are better than one. Once you get comfortable, try lining your lower lash line and top lash line with different coloured eyeliners. Blue with green, green with silver, turquoise with mauve - SO MANY OPTIONS! 5. Make most of eyeshadows. In a pinch, these two work beautifully! Just wet your angled eyeshadow brush with some setting spray. It will give you more control over the pigment and voila! your eyeshadow palette becomes an eyeliner palette! 6. Liquid lipsticks for the win. Liquid lipsticks could work as liquid eyeliners guys! Seriously, pick your fave lippie and use it as an eyeliner. If you're feeling particularly bold, use it as a stain on your lips as well for a monotone vibe! Well, we hope these hacks and sticks would make you want to dive into the world of coloured eyeliners and eyeshadows. Here are a few of my favourites! Oh, and while you're at it, we suggest investing this cute make-up pouch as well. You need a place to store all those cute products, and this one is totally insta-worthy!